I can’t help but reflect on an opportunity that I brought to the public recently. It’s an opportunity that has brought subscribers over 300% in total profits in 2018 and will continue to do so for years to come. The opportunity is in volatility. Some of you have heard my enthusiasm for this subject before. I’ve discussed it on numerous occasions, but for good reason. It’s my job to bring you the best trading opportunities to make consistent profits over the long-term. An opportunity like this has not surfaced in several years. 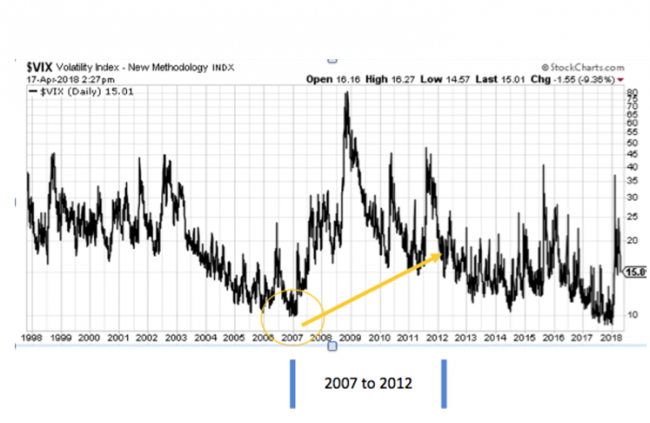 The last time volatility offered us this type of trading opportunity was in 2007. It lasted for six years. 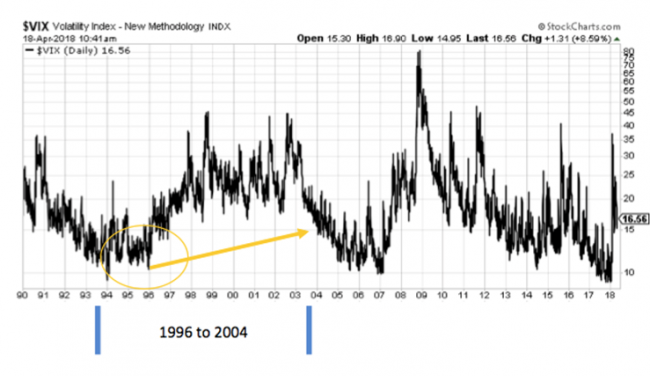 Before that, volatility was in a bull market that lasted almost nine years. 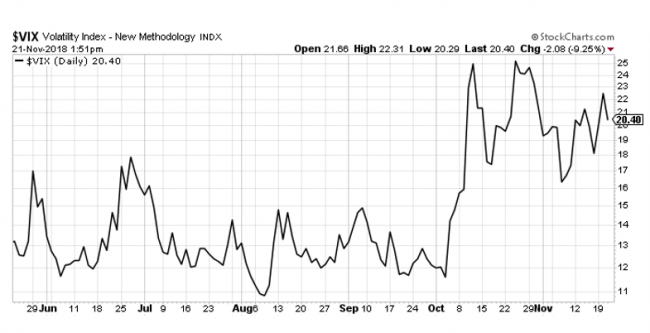 And now volatility is once again offering us an opportunity to make significant and consistent profits. You see, when volatility is low, like what we saw in 2017, options prices are low. . . in this case, historically low. For example, back at the beginning of December 2017, an at-the-money call option on the S&P 500 (SPY) with 45 days left until expiration would bring in roughly $3.08. Now, at current market volatility levels, all things being equal, we can bring in $5.20. That’s a 145% increase in options premium . . . and that’s why we have been so successful in 2018 using three of my favorite options strategies . . . a trading opportunity I will be discussing in detail next Thursday. The increase in options premium allows us to not only make more in the way of profits, but it also allows us to have a larger margin of error at the same time. The larger margin of error has a direct impact on our win ratio. So far in 2018 we’ve made 54 out of 60 winning trades for an overall win ratio of 90%. But the best part is this: we should see it last for several more years, much like the volatility charts I showed you earlier. Ultimately, it’s up to you to decide what types of investment strategies work best for your personal investment style, but I can tell you learning these strategies is time well spent, especially if history repeats itself. Click here to find out more.